1 ¶ What shall we say then? Shall we continue in sin, that grace may abound? 1 ¶ Know ye not, brethren, (for I speak to them that know the law,) how that the law hath dominion over a man as long as he liveth? 1 ¶ Brethren, my heart's desire and prayer to God for Israel is, that they might be saved. 12 ¶ For there is no difference between the Jew and the Greek: for the same Lord over all is rich unto all that call upon him. 7 ¶ Render therefore to all their dues: tribute to whom tribute is due; custom to whom custom; fear to whom fear; honour to whom honour. 11 ¶ And that, knowing the time, that now it is high time to awake out of sleep: for now is our salvation nearer than when we believed. 1 ¶ Him that is weak in the faith receive ye, but not to doubtful disputations. 1 ¶ We then that are strong ought to bear the infirmities of the weak, and not to please ourselves. 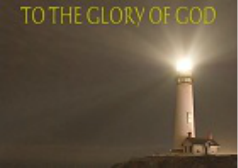 7 ¶ Wherefore receive ye one another, as Christ also received us to the glory of God. 14 ¶ And I myself also am persuaded of you, my brethren, that ye also are full of goodness, filled with all knowledge, able also to admonish one another. 17 ¶ I have therefore whereof I may glory through Jesus Christ in those things which pertain to God. 22 ¶ For which cause also I have been much hindered from coming to you. 17 ¶ Now I beseech you, brethren, mark them which cause divisions and offences contrary to the doctrine which ye have learned; and avoid them. 21 ¶ Timotheus my workfellow, and Lucius, and Jason, and Sosipater, my kinsmen, salute you.